I know many of us ladies out there do not like to splurge on skincare products or are not able to, but want to find something reasonably priced that works and suits their skin's needs. That is why I was above the moon when I received a mystery package that I was not expecting, and found a few skincare items inside from a brand I know to be widely accessible in the Middle Eastern alternatives of a drugstore — pharmacies and supermarkets. I personally prefer to spend less money on scrubs and cleansers, because I know that there are so many affordable products that work for me. As for other types of skincare products such as masks, moisturizers, toners and serums, I dabble between both drugstore and high end to find what works best for me, and also to review what I try. 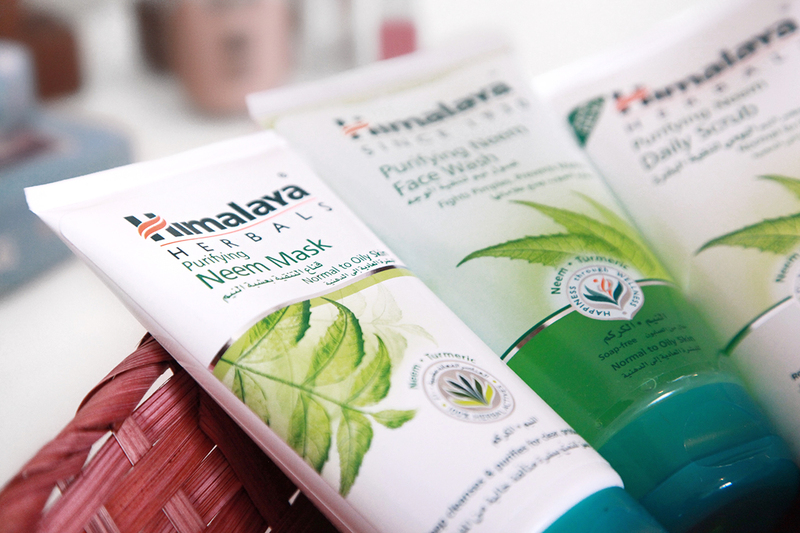 Himalaya is one of the brands that was introduced to me by my parents since I was a teenager, so I have already tried many products from their range, some I can't even remember. I did not know this before, so I thought I would mention that these products are cruelty free as they were not tested on animals. Starting off with a products I have used so many tubes of (and I just used up on a few months ago), the Purifying Neem Mask (normal to oily skin) is one of my favorite drugstore masks for my skin type. The main ingredients in this are neem and turmeric, which clean clogged pores and control acne. After years of using this, I can definitely agree that it helps unclog my pores to give me clean and fresh feeling skin. It is basically a black mask that dries into a light green-ish grey color, but what I love most about it is that it contains tiny particles which help exfoliate the skin as you apply and remove the mask. My recommendation is not to leave it on for too long, because the longer you keep it on the harder it gets to wash off. The second item is the Purifying Neem Daily Scrub (normal to oily skin). I have tried scrubs from the brand before, but this is a new release to the line. As all the products in this post, the main ingredient is neem, along with apricot. Neem is said to act as an anti-bacterial to keep the skin clean while the apricot gently exfoliates the skin, removing blackheads and other impurities. I have only used this a few times before writing this post, so I can't write about results yet. However, the scrub had a creamy texture with tiny exfoliating particles, making it gentle enough for any skin type in my opinion (unless it is very sensitive). The tiny particles make it perfect to use a couple of times a week if you like scrubs, because the particles are not abrasive at all. The third product is the Purifying Neem Face Wash (normal to oily skin), also formulated with neem and turmeric which target pimples and prevent pigmentation from breakouts. This is a new product for me, but I remember using a foam cleanser from the Neem line years ago and liking it. I honestly do not know if it is still available. The fourth product, before moving on the very satisfying to peel peel-off masks, is the Purifying Neem Facial Wipes (normal to oily skin). I am guessing these are new as well since I haven't seen them before. The packet includes 25 wipes, which are free of alcohol so they do not dry out the skin. These are supposed to remove makeup and excess oil while also toning the skin, and help reduce breakouts. I usually don't use wipes because as weird as this sounds, wipes usually make my lips swell up, making them look like I had something done and it went wrong. However, when I am sent wipes I do like to try them to see how my skin and lips react (but not if I have to leave the house, in case my lips swell up). I have used a couple of wipes and so far so good. The most important thing for me is that my lips didn't swell. The wipes are very gentle on the skin, they have a soft textured feeling and they do not leave a residue on the skin but I always recommend cleansing the skin well after using wipes. 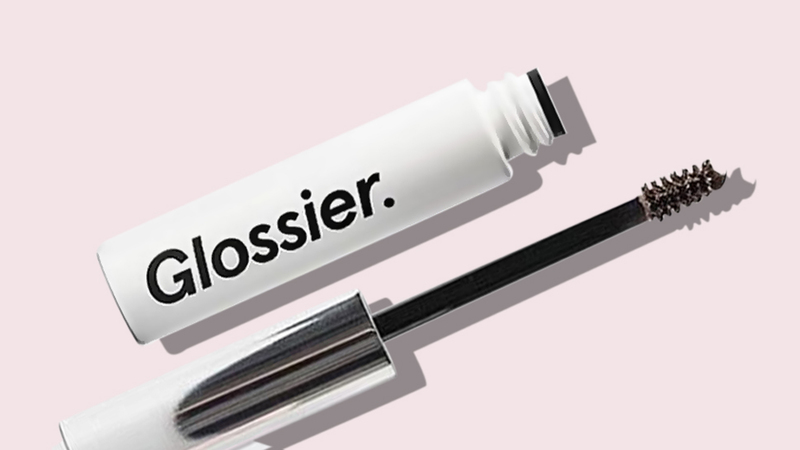 They remove face makeup fine, but when it gets to the eye makeup which obviously consists of so many layers, some of which are sweat- or waterproof, it takes a few times of wiping the area because the wipes are not too wet. Moving on to the peel-off masks. I haven't used peel-off masks in so long, so I was so happy when I saw these. I received three types which are the following: Purifying Neem Peel-off Mask (normal to oily skin), Moisturizing Cucumber & Almond Peel-off Mask (normal to dry skin), and Tan Removal Orange Peel-off Mask. They all sound amazing, but obviously I had to start testing out the one suited for my skin type — the neem one. I also used the tan removal one once but again, I cant talk about results just yet. What I have to say about these it that they have a gel consistency which is very cooling on the face, making it very fun to use in the heat of the summer. I would recommend applying these with your fingers rather than with a mask brush, because you need to apply a generous amount to be able to peel it off in large chunks, and it is also just annoying to clean the brush bristles when it dries on it if you use the brush. When I was applying it, the neem mask had a strong scent (Im guessing it's the alcohol) which bothered me a bit, but it dissipated when it dried. It also tingles a bit as it dries. It did not dry out my skin, but made it feel soft, fresh and clean. I think these are also great to prep your skin for a nourishing mask as the product can sink in easier. I hope you ladies enjoyed reading this post or found a product to try out next. Thank you so much to the PR team of Himalaya.